Fresh made fixin's just like your great, great, great grandma used to make. CANTINA DEL RIO | (830) 515-1950 - "Best Margarita in New Braunfels" 7 years running! Fashioned after a south Texas ice house. Tasty tacos, juicy burgers, sizzling fajitas, etc! Premium tequila, sangria and beer. Outdoor dining and bar. FICKLE PICKLES ANTIQUES AND PICKLES | (830) 627-8999 - As seen in Southern Living magazine, offers a unique blend of interesting antiques along with a complimentary sample of our famuse Fickle Pickles. (830) 625-0684 - Since 1977. 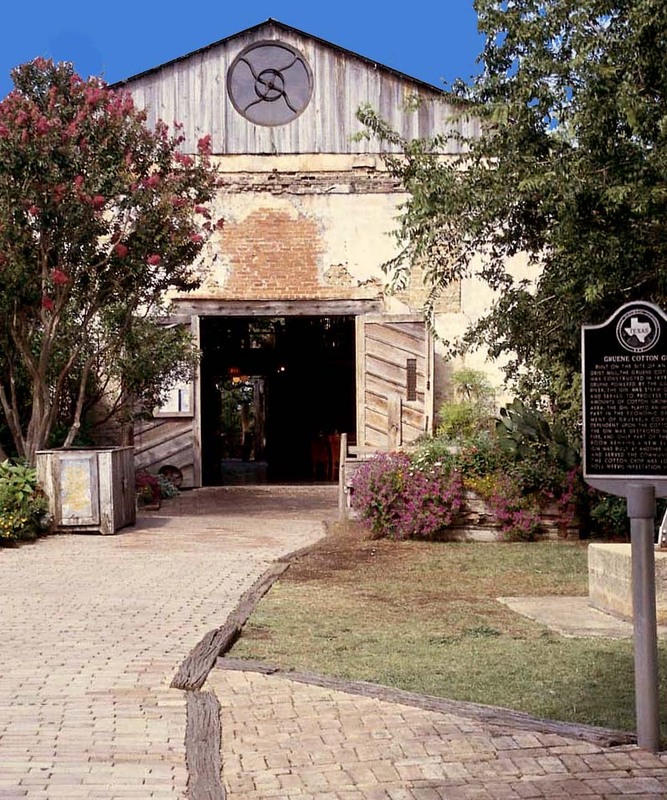 Unique Texas-style dining in an 1870s cotton gin beneath the water tower with beautiful dining decks on the Guadalupe River. Seasonal live music. 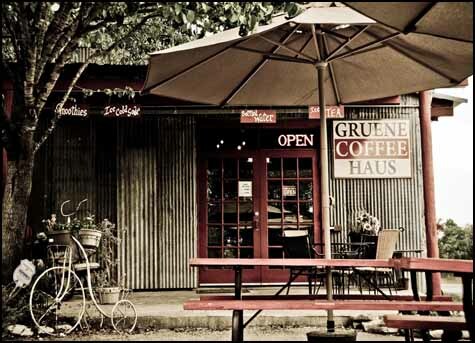 GRUENE COFFEE HOUSE | (830) 625-5527 - Specialty micro-roaster and espresso bar offering cold brew, fresh coffee by the cup and by the pound. Not just coffee. Open 7am to 7pm. THE GRUENE OLIVE TASTING ROOM | (830) 627-9087 - Sample over 50 different flavors of Ultra Premium Virgin Olive Oils & balsamic vinegar fresh from the tap. Great gifts. Private tasting parties available. 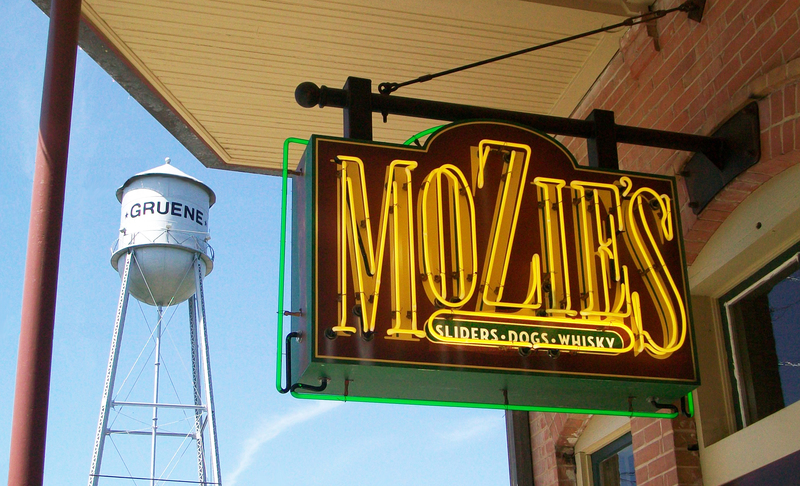 MOZIE'S | (830) 515-1281 - Celebrating 10 years! Original food. Cool bar. 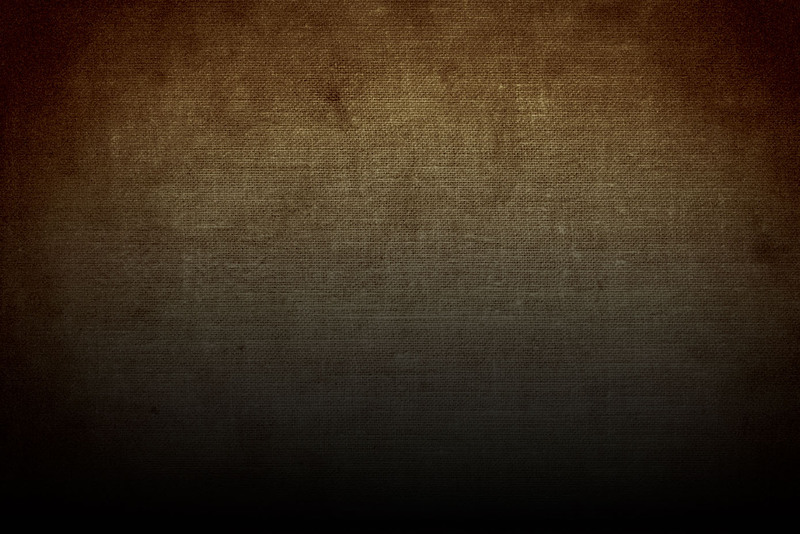 Premium well liquors, select wines and specialty beers. All day menu of favorite American classics. Sports TVs and air conditioning! 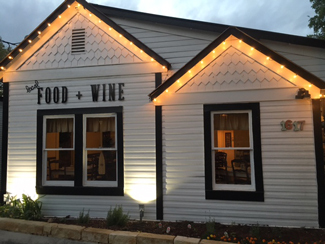 THE RIVER HOUSE | (830) 608-0690 - Locally sourced, farm fresh restaurant just off the beaten path on New Braunfels St. A proper eatery for those who love Southern cuisine with an upscale twist. Patio and indoor seating. 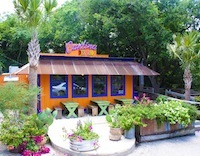 THE RIVER HOUSE SNACK BAR| (830) 627-3285 - A shady place for sunny people, serving an all natural and locally sourced menu of smoked meats, small bites and cold beer.